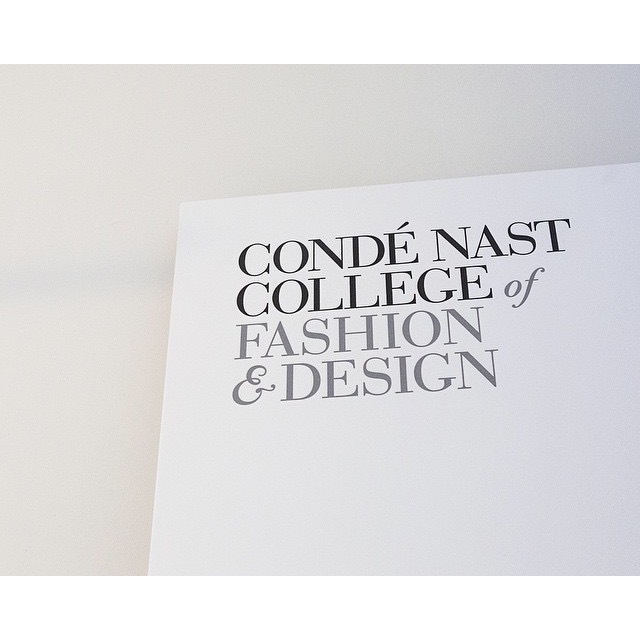 This season, after viewing over 100 designer collections in and around London I had the perfect wind down way to end Fashion Week in my capital with a visit to College of Conde Nast College for an inspiring Q&A with three of my favourites, Frontrowedit.co.uk follower and Vanity Fair‘s Contributing Fashion Editor, Elizabeth Saltzman, Womenswear designer duo Peter Pilotto and business partner, Christopher de Vos, hosted by American Express that I supported and organised within my role at the British Fashion Council. The talk was fascinating to hear Peter & Christopher talk business building, development of media and the importance of four collections a year to the label. Launched in 2007, Peter Pilottto’s first collection of digital printed designs proved an instant hit, winning the designers instant acclaim and securing their first buyers. The British based brand is now sold in over 49 countries and is stocked by luxury retailers such as Net a Porter, Saks Fifth Avenue and Liberty. Initially founded by Pilotto, De Vos joined the label in its fledging years. After earning start-up support and studio space from the Centre for Fashion Enterprise in London, Peter Pilotto was scouted for the Vauxhall Fashion Scout showcase, receiving much needed exposure. Now operating from their own studio in East London, the duo, who first met whilst studying at the prestigious Royal Academy of Fine Arts in Antwerp, hold a number of industry accolades and have been awarded NewGen sponsorship by the British Fashion Council as well being named as winners of the Swarovski Emerging Talent award in 2010 and winners of the Fashion Forward prize in 2011 and most recently were awarded the BFC/VOGUE fashion fund. Pilotto and DeVos have undertaken a number of collaborations with brands such as Target, Kipling, Lisa Marie Fernandez and most recently with Nicholas Kirkwood on a range of printed shoes since their AW2012 collection. In 2012, the duo were also invited to be guest designers at the prestigious Pitti W showcase in Florence. This entry was posted in Latest News, Trend Reports and tagged LFW, london fashion week, SS16. Bookmark the permalink.